Tomlinson COMBINATION CABINET DISPENSERS are smart dispensing solutions for foodservice industry professionals with space constraint. The combination unit offers multiple dispensing options for clutter-free counters and better customer service. Moreover, Tomlinson provides an abundance of choices to meet personalization requirements dynamically. These Combination Cabinet Dispensers come with choices of dispensing cups, domed lid, lids, and straws within one unit. Intuitive design of the combination unit makes it handy as well as the most versatile and reliable dispensing interface. 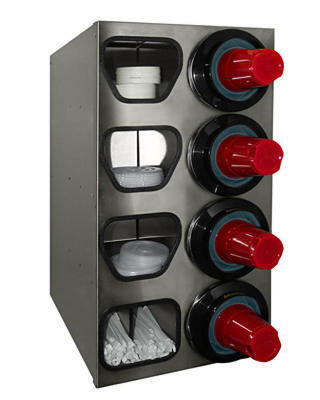 Tomlinson offers the cabinet with unique Simpli-Flex® cup dispensers for one at a time dispensing of foam, plastic, or paper cups of up to 44 oz capacity. Additionally, cabinets are customizable to suit individual requirements. Selecting versatile Tomlinson dispensing solutions is always far more rewarding than ever imagined.